« 9/26 Is Caesars Entertainment Angling to Open a Macau Casino? Nevada’s gaming industry has long been warned to stay away from the state’s legal marijuana business. But the separation is getting harder to avoid. It was easy when legal marijuana was strictly medicinal and there were just a handful of dispensaries. But the introduction of legal, recreational marijuana last year has led to pot stores popping up like Starbucks, especially in Las Vegas. The line of demarcation between the two industries could get tougher if the City of Las Vegas plants marijuana consumption lounges near its casinos. The City Council is considering an ordinance that would allow the hookah-style lounges to sell food and alcoholic beverages. Add in some high definition televisions and you basically have a sports bar/tavern minus the video gambling devices. This isn’t sitting well with the Nevada Resort Association, the state’s primary trade association and advocate for the casino industry. In a letter last week to Las Vegas mayor Carolyn Goodman and members of the council, Resort Association President Virginia Valentine said marijuana has only been legal in Nevada for a year, and that legalization is in its infancy in other states. “Consequently, communities have little or no experience with the impact of lounges on the communities or surrounding businesses,” Valentine wrote. For the Nevada gaming industry, marijuana is a federal issue. The Department of Justice still considers marijuana a Schedule 1 illegal drug under the Controlled Substances Act, putting it on par with heroin. 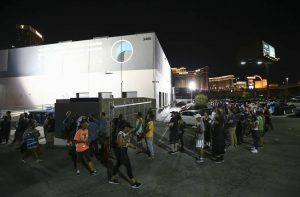 That was enough for the Nevada Gaming Control Board to issue a stern message to all gaming license holders when medical marijuana surfaced: stay away from any association with the drug, including investment in the industry. The state’s first medical marijuana dispensary opened in 2015. Since then, marijuana has grown into a successful Nevada business story. Total sales of recreational and medical marijuana and marijuana-related goods topped more than $529 million in the 12 months that ended in July, exceeding projections by some 40 percent. The state collected $69.8 million in taxes, and the Nevada Department of Taxation is predicting a similar tax figure next year. As of May 30, the taxation department said 61 dispensaries were operating statewide, 47 of those just in Clark County, which includes the casino corridors. Current law restricts marijuana consumption to private residences. How close are the dispensaries to the casinos? The Apothecary Shoppe, at 4240 West Flamingo Road, is directly across the street from Station Casinos’ Palms Casino Resort and a block from Boyd Gaming’s Gold Coast Hotel & Casino. The only exception allows for casinos to host conventions or meetings involving the marijuana industry, but only if marijuana is not possessed or consumed. 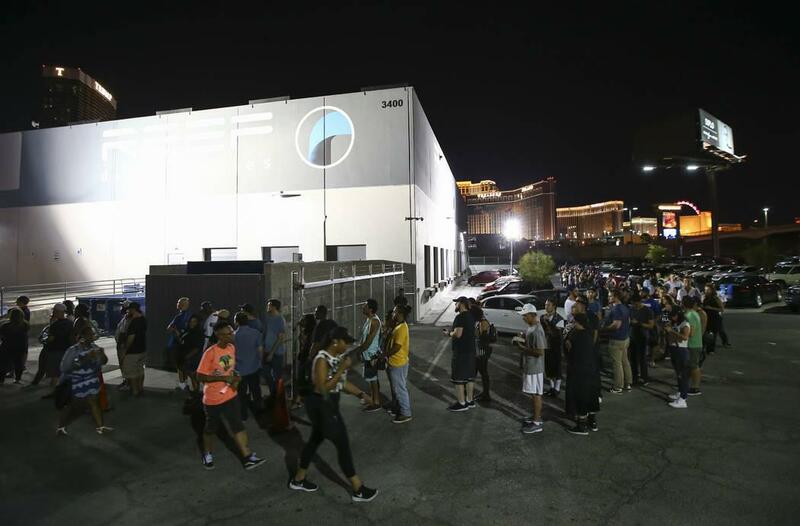 “Nevada gaming regulators have made it clear that marijuana businesses, both medical and recreational, are not compatible with gaming establishments,” Valentine wrote. Until federal law changes to decriminalize marijuana – something that current U.S. Attorney General Jeff Sessions has made clear will not happen, at least not under the current Administration – nothing will alter the Nevada gaming industry edict. Las Vegas Councilman Bob Coffin, who is leading the effort to create the lounges, told the Las Vegas Sun that Valentine’s letter “won’t slow us down.” Ironically, one Resort Association board member, Las Vegas Sands Senior Vice President Andy Abboud, favored marijuana consumption lounges a year ago as a member of Clark County’s marijuana advisory board, believing they might help keep marijuana out of hotel rooms. The idea went nowhere. Nevada is not the only casino state dealing with legal marijuana. A New Jersey delegation recently visited Nevada to see how pot and gaming co-exist. Colorado, Massachusetts, Washington and California, however, are not good comparisons. These states’ casinos are spread out, not concentrated like they are in Nevada’s gaming markets of Las Vegas and Reno. In Colorado, for example, the casino towns of Black Hawk and Central City are located some 30 minutes from Denver. Cripple Creek is in the hills outside Colorado Springs. Denver has at least one licensed marijuana smoking lounge, but – according to friends of mine who have recently visited the city – there are days that downtown Denver could double as a scene from Cheech and Chong’s Up in Smoke. My thoughts? I wish the Attorney General’s office under President Barack Obama had moved to decriminalize the drug completely, rather than agreeing in 2013 not to prosecute anyone for simple marijuana possession and to concentrate only on egregious crimes. That would have allowed Nevada gaming regulators and state lawmakers to put effective policy into place covering casinos and pot. Although I have never used medical marijuana, I’m a believer that continued study of the drug is needed, especially as an alternative to opioids. For now, current Nevada gaming policy toward marijuana seems to be working. Taking a step back from the pot lounges won’t hurt anyone.